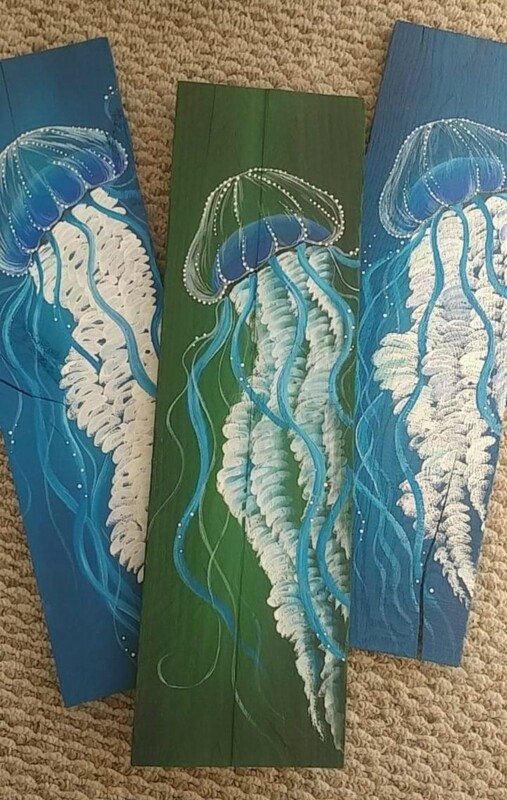 Come and join us at Tommy’s Natural Foods Market & Wine Shop for a relaxing afternoon of tasting a variety of food and wine while exploring your artistic side with this colorful and whimsical jellyfish plank board painting. We will be learning different techniques from a local artist, Mitzi Mager, such as transferring images with transfer paper, blending with floating mediums and using paint markers along with acrylic paints. This class is designed for all levels of ability and the step by step lessons are sure to produce a painting you can be proud of. This is event is held on four days. Be sure when selecting tickets you choose the day you want to attend. Space is limited to EIGHT people per day! Get your spot reserved today!